The double A-side will be available as a digital download as well as on limited edition CD and vinyl, both of which will be available at live shows. The Chadelics are a young Brit-Rock quartet from Cumbria who combine the essence of Punk with swirling jangly guitars and pop sensibilities. Led by vocalist and songwriter Joe Mansergh, the band have already earned the attention of BBC Radio 1’s Huw Stevens and BBC Radio 6 Music’s Steve Lamacq, securing airplay on both shows, as well as being championed by BBC Introducing in Cumbria. 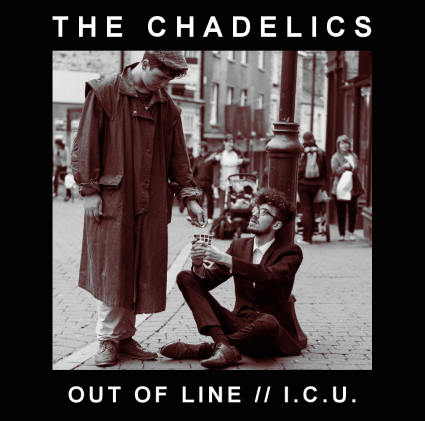 The Chadelics have gigged extensively across the UK, taking in support slots for Inspiral Carpets and a festival appearance at Kendal Calling where they were widely tipped as one of the highlights of the weekend. Their music was featured in the groundbreaking play ‘Red Tap/Blue Tiger’ at the Edinburgh Fringe Festival 2014.